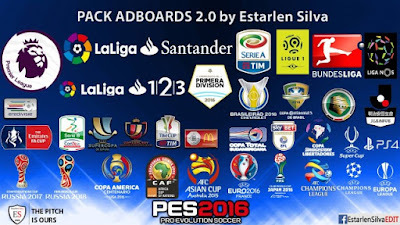 Adboards Full To All Compettions and Leagues Cups only for Master League or Leagues and Cups ! Compatible with any Patch ! Warning: The officials Adboards Leagues and Championships OFFICIAL will work only on your Master League and League Cup and, and the friendly match they will be pattern (generic PS4 Adboards).